Twenty-eight years after the first ever Feile graced the grounds of Semple Stadium, Thurles is in line to relive its glory days once again following news that the ‘Trip to Tipp’ returns to the Cathedral town this September. After a long hiatus, Féile will officially make an electrifying return to Thurles on Saturday 22nd September as Féile Classical. 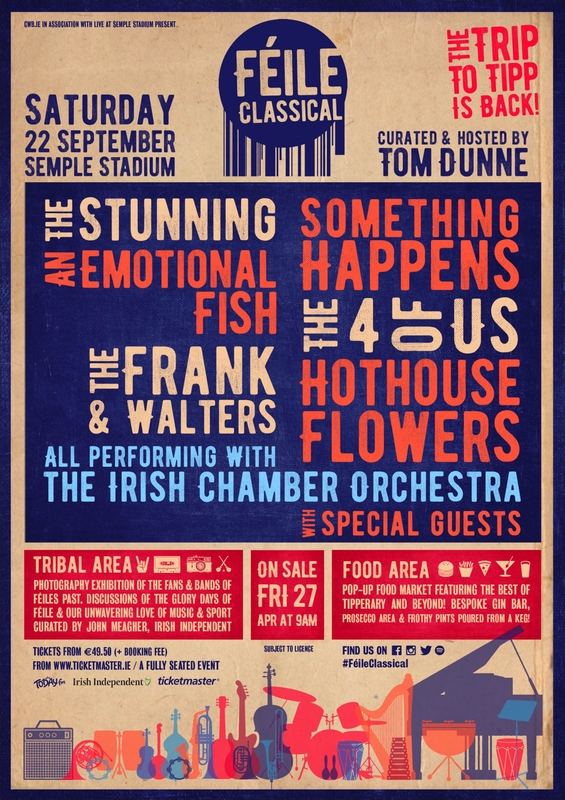 Feile favourites The Stunning, Hothouse Flowers, An Emotional Fish, Something Happens, The 4 of Us, The Frank & Walters plus a line-up of special guests will take to the stage with the Irish Chamber Orchestra for one night only in Semple Stadium. Audiences can expect rapturous, spine-tingling versions of sing-along anthems such as Brewing Up a Storm, Celebrate, Parachute, Mary, Don’t Go and After All performed by the supremely talented combination of bands and orchestra, with the latter’s soaring strings and powerful arrangements adding sparkle to every song. In contrast to the Féile days of yore, Féile Classical will be fully-seated concert. Music fans can also explore the exciting pop-up ‘Food Village’ and BBQ area, visit the Tribal Tent - a dedicated space for the discussion of Féile glory days curated by well known music critic John Meagher, or gaze at the festivals photography exhibition of fans and Féiles past. And for those who might feel like recapturing those daring moments of bygone Féiles, Féile TV will be on-hand once again to record the craic in Semple! 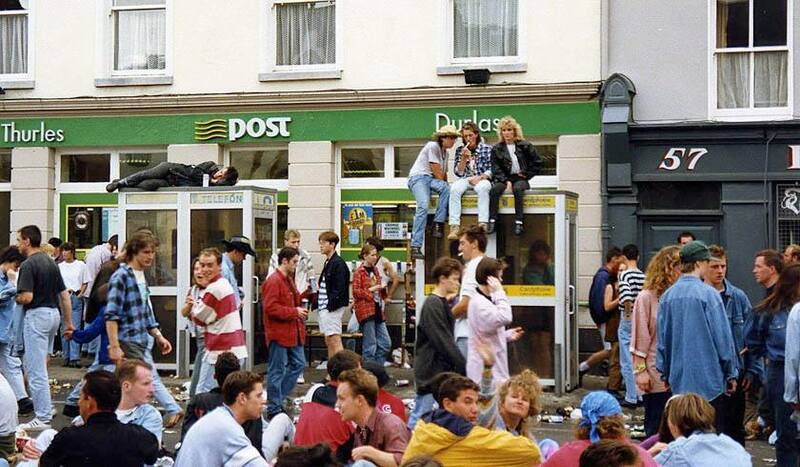 The nineties, the tribal days of Irish music, the days where the music you loved defined your identity. Whether you were a punk, a grunger, a rocker, a britpoper, a raver or an indie kid – your hair, clothes, makeup, shoes and any other obscure place in between carried an emblem, a lyric, or an album title. You wrote to fan-clubs waiting mostly in vain for a response, you worshipped your albums’ inlay cards, painstakingly learning every last lyric. The chances of seeing them live was slim, the chances of ever seeing a few of your bands on the same bill? That was inconceivable…. 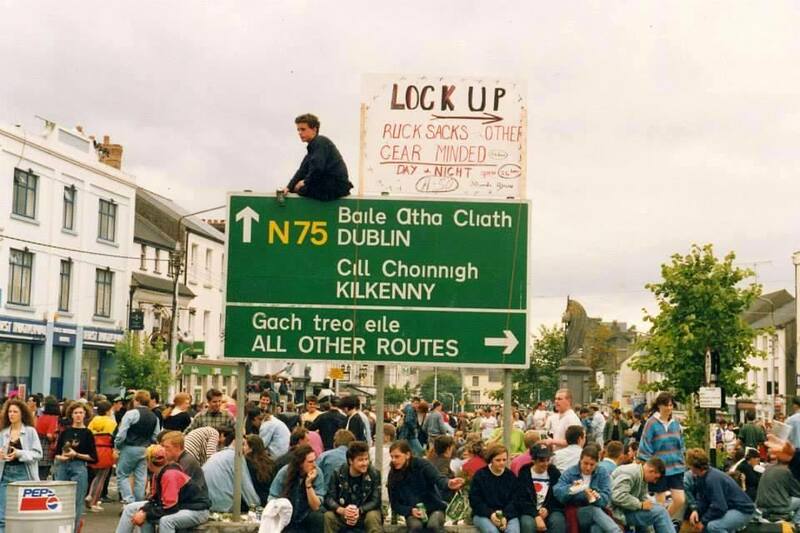 Then one glorious summer weekend in 1990 the Trip to Tipp happened and the lives of young Irish music fans changed forever! CWB.ie in association with Live at Semple Stadium proudly presents Féile Classical. As Féile Classical is a seated event, tickets are limited. Tickets from €49.50, plus charges, will go on sale from www.ticketmaster.ie at 9am on Friday 27th April.